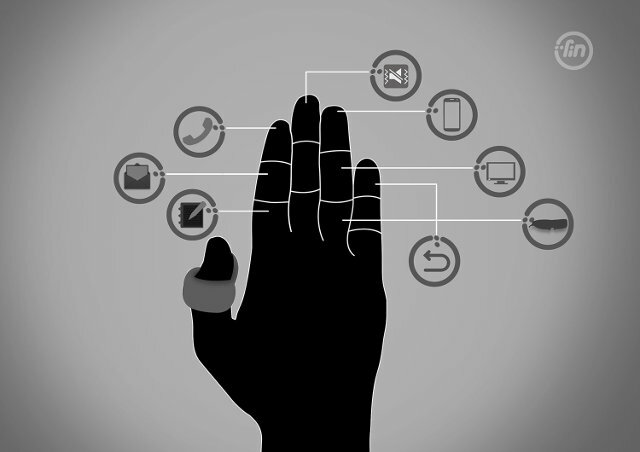 We’ve already seen smart rings with NFC rings that can be used for authentication and share small amount of data (e.g. business card data) with smartphones. Fin is a completely different type of smart ring that fits onto your thumb, and let you control Bluetooth enabled devices by tapping different phalanges on your fingers, and/or the palm of your hand. Sensors – No details, but Fin can track accurate movement of your thumb on the palm and detect each phalanx of your finger where you are touching. Battery – Li Po custom battery with micro-USB charging dock ; One charge will last for 1 week; more than one year durable. The ring will work with Windows, Mac, iOS, Android, and Windows Phones. Another advantage is that you can rest your arm on the table while using Fin, which won’t lead to tiredness associate with products such as Leap Motion, although it should certainly less flexible and accurate. They’ve showed some demos such as answering the phone with a tap of a finger, adjusting the volume of your car radio without removing from the steering wheel, using your hand to play shooting games, controlling a VR headset, and so on. Development is advanced but not quite finished with product development expected to complete in April, and software development in May, before starting delivering products in July. The company is looking for funds to complete development and start manufacturing via Indiegogo. At this time, they’ve received pledge for about $80,000 out of their $100,000 target, but since it is a flexible funding campaign, they’ll receive the funds whether they reach their target or not and mass production should go ahead. You can pledge $79 to receive an early developer sample with support for 5 gestures by June 2014, and $99 to get the final version in September 2014. Shipping is $10 to the US and Asia, and $20 elsewhere. 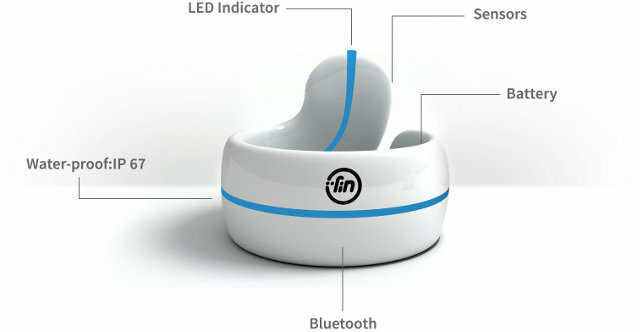 The official website is www.wearfin.com, but there’s not much more info than on the Indiegogo page.